Hypertension, or high blood pressure, is a common condition that affects one in five adults South Africans. It's a dangerous disease that, if left untreated, can lead to stroke, heart attack and renal failure. 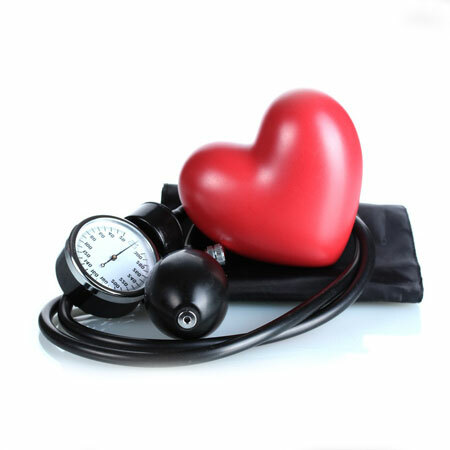 A management programme that incorporates a healthy diet, regular exercise, lifestyle changes and prescription medications has proved the most effective in treating hypertension. One or more tests may have to be performed to confirm a diagnosis of hypertension. Multiple blood pressure readings, taken over several appointments, usually suffice. Additional diagnostic tools include urinalysis, blood tests, cholesterol tests and electrocardiograms. Medical aid schemes in South Africa are obliged to cover the costs associated with the diagnosis, treatment and care of hypertension. This is because hypertension is listed as one of several Chronic Disease List (CDL) conditions that automatically qualify for chronic and Prescribed Minimum Benefits (PMBs) after any applicable exclusions. Premium medical aid plans usually cover an extensive list of medicines, known as a formulary, that includes both branded and generic versions of medications. They also provide day-to-day cover for GP and specialist consultations, pathology and radiology, and often allow members to use any healthcare providers. Entry-level medical aid options, on the other hand, provide more restricted formularies, often including the generic versions of drugs. Members may be required to make co-payments if they choose to use non-generic or out-of-formulary medication. Also, a medical aid plan may cover the cost of a medicine only up to a defined limit, known as the reference price. Consultations, blood tests and radiology are usually limited to PMB conditions only, at a state or network provider. 2-3 GP visits and 2 specialist visit per year, post-diagnosis, to monitor blood. Discovery Health prides itself on offering cover that far surpasses government requirements or PMBs. Claims are paid out according to PMB treatment guidelines and only after the condition has been approved on the chronic illness benefit. With Discovery Health, defined blood tests, diagnostic procedures and the on-going management of hypertension are automatically covered on all options based on approval. In addition, Discovery Health covers the cost of four GP consultations per annum across all its plans, from the chronic illness benefit. In mid to low-level plans, members may be restricted to using network providers and co-payments may apply when there's no agreement between scheme and provider. 100% of the scheme rate in the Core and KeyCare plans at network specialists only. Discovery Health covers an exhaustive list of medicines that are commonly prescribed to treat the symptoms of hypertension, up to a set amount known as the Chronic Drug Amount (CDA) however, Key Care options are restricted to the formulary unless highly motivated. The CDA may vary according to the level of cover, with members of high-end plans benefitting from a higher cash amount. Certain, more expensive branded medications may be covered only on the Executive or Comprehensive plans and is still subject to approval. Revellex, MabThera, Enbrel, Actemra, Simponi, Orencia, Renagel, Sensipar, Pegasys, Tobi, Bariatric surgery, Balloon Sinuplasty, Pradaxa, Victoza, Tysabri, Xarelto, Byetta and Fosrenol. Contact us to learn more about the chronic hypertension benefits offered by leading medical aid schemes in South Africa, or to find the appropriate medical aid plan for your budget.